Design, printing, bindery, and direct mail services. Press list. Biloxi. Community bank serving the Mississippi Gulf Coast. 4 Mississippi Coast Harley-Davidson Biloxi, Mississippi. Biloxi full-service Certified Public Accounting firm. Includes service descriptions, financial tools, and service-bureau-supplied newsletter. Located in Biloxi. Site contains park map, area map and photos. Free Wi-Fi Internet access. Located in Biloxi. Close to area beaches and casinos. Spacious Pull-Throughs, 20/30/50 Amp Service, laundry and shower facilities. Posts rates, amenities, directions and attractions. Located in Biloxi, Mississippi. Includes calendars of meetings and events and a directory of officers. The high-bandwidth version also offers introductory information and a library of history, arts, and sciences articles. Western-style casino resort in Biloxi. Calendar, food, gaming, entertainment and promotions. Under construction in Biloxi (closed). Pirate-themed casino resort located in Biloxi. A small gambling related forum for discussing different kinds of aspects of casinos. Guide to Biloxi Mississippi casinos and hotels featuring reviews and photos. Directions, special events, gaming, promotions, golf packages and players club. Gaming, hotel and condominium Resort under development in Biloxi. Resort hotel with 236 rooms and a 43,500 square feet casino located Biloxi. Pirate-themed casino resort in Biloxi. History of the Indians of Lafourche and Terrebonne Parishes, including the Bayou Lafourche Band of Biloxi-Chitimacha, Grand Caillou/Dulac Band of Biloxi-Chitimacha, Isle de Jean Charles Band of Biloxi-Chitimacha, and the Biloxi-Chitimacha Confederation of Muskogees, Inc. Contact information and meeting times of Mississippi Royal Rangers outpost 30 chartered to Northside Assembly of God in Biloxi, MS.
general practitioner, located in biloxi. general practice law firm representing business interests, from office in biloxi. biloxi firm practicing law in the areas of personal injury, workers compensation, and appeals. biloxi law firm offering services for matters including business bankruptcy, creditor representation, commercial litigation and personal injury. Ancestral heritage of Jacinda Nicole Dawson-Ramirez from Biloxi, MS USA. 42 Good Shepherd Lutheran Church Biloxi, Mississippi. Image gallery of Mark Farner and the NrG Band at Biloxi, MS.
represents clients in areas of admiralty claims, dui and criminal defense, drug crimes, catastrophic personal injury, and mass torts including defective products and pharmaceutical litigation. offices are located in ridgeland and biloxi. Family history of Jacinda Nicole Dawson-Ramirez from Biloxi, MS USA. Surnames featured include Dawson, Bloomfield, Showers, Fairley, Horne, Fortenberry, Williams, Thomas, Arrington, Tate and Cook. practicing in state and federal courts, defending cases involving personal injury, health care facilities, insurance, bad faith claims, medical malpractice, property, casualty and products liability, from offices located in jackson and biloxi. also represents clients in employment and discrimination cases. Fan fiction, links and information about the series. A Community Theatre Company based in Biloxi, Mississippi. SiteBook Biloxi City Portrait of Biloxi in Missisippi. 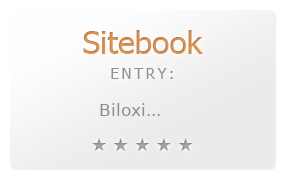 This Topic site Biloxi got a rating of 3 SiteBook.org Points according to the views of this profile site.